The Hoodna Orchestra is a 12 member orchestra who studies and investigates the African origins of western popular music. The Orchestra was formed in 2012, in the south side of Tel Aviv, by a group of musicians, and it functions as a collective and a record label. Hoodna’s musical director is the guitarist and composer Ilan Smilan. The cultural and musical environment that surrounds the group has a great effect on its creative process. 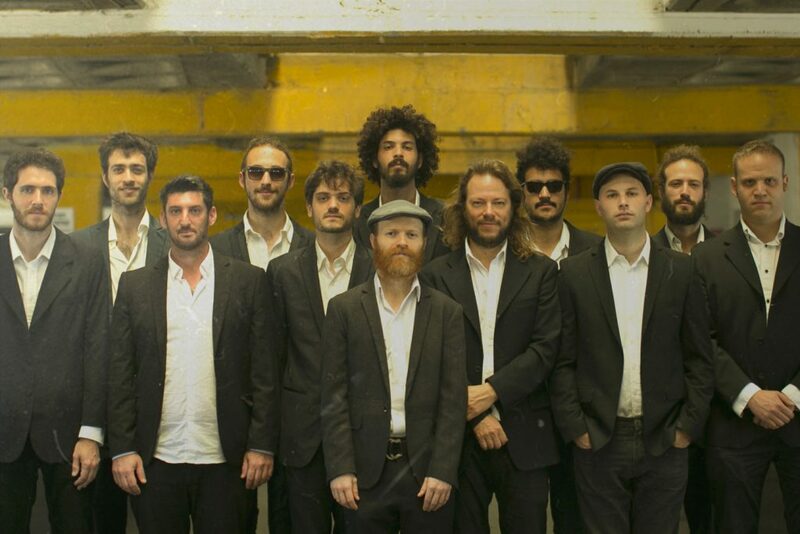 Exposure to Ethiopian’, Eritrean and Arabic musical traditions, coupled with an ongoing study and exploration of different jazz styles, creates a unique blend which has made The Hoodna Orchestra one of the most appreciated and sought-after live shows in Israel.